B&B. VILLA WITH STUNNING VIEWS OVERLOOKING ALICANTE BAY. Small rural hotel at the foothills of the Sierra espuna nature park, near Alhama de Murcia, Murcia, Spain. Your luxury Suites in a great tropical garden in Spain. Hospedería Reina de los Ángeles. For people who appreciate the beauty and peace of nature. Hacienda from XV century at the border of the lake with beautiful views to open country fields of sunflowers and olives groves. Itaca is a small hostel designed for all travelers; backpackers, couples, families or small groups of friends looking for a quiet stay and the fun vibe in a city of cultural and festive as Barcelona. 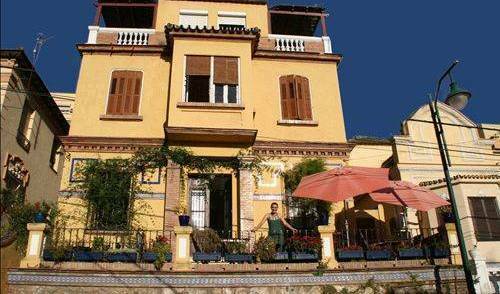 Edelweiss Youth Hostel is located in the neighborhood of Horta-Guinardó, one of Barcelonas most beautiful areas. Guests are just a short walk from La Rambla, Plaza Catalunya, Gaudi's Casa Batllo, Casa Mila, La Pedrera. AAE Coliseum is a value-for-money option, that offers visitors to this magnificent city, the chance to stay right in the heart of the action. We are a small hostel located outside the noise of the city center, but surrounded by all type of shops, grocery stores and leisure activities. The metro (Red Line) L1 is a stone throw away and will take you in 14 minutes to the city center. Bohemia Barcelona - a hip hostel for backpackers, lovers, writers, artists, friends and all you travelling wilburies! Located in the most lovely area of city center, AAA Emporio enjoys a commanding position in the restaurants, shopping, sightseeing hub of Barcelona. Calabria House is like your Home in Barcelona, Homely setting, Private Double Rooms, access to kitchen, wash rooms, living room, terrace, washing machines etc. Free towels, linen, kitchen access. 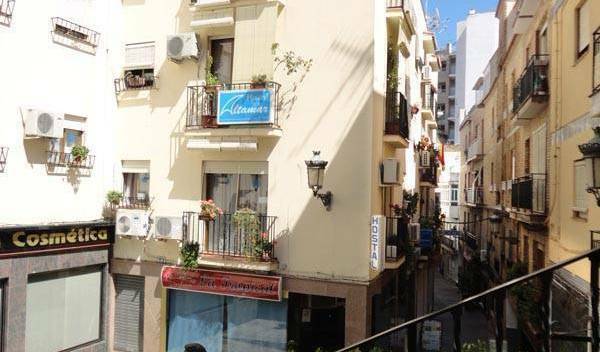 Situated 750 metres from Santa Eulàlia Metro Station, Badal B&B offers simple rooms with free Wi-Fi. This budget guest house offers a free continental breakfast, free espresso coffee and a 24-hour communal kitchen. Cheap, clean and central hostel in Barcelona. Very nice atmosphere, wonderful staff, comfortable beds and huge kitchen! We offer almost hotel facilities but hostel prices. Frre locker, bed linen, wifi and kitchen. Paraiso offers a friendly, clean, intimate and relaxing atmosphere. we are ideally located in the centre of Barcelona, within walking distance to all major tourist attractions, museums and the busy nightlife area. BCN House is like your Home in Barcelona, Homely Setting, Private Double Rooms, Access To Kitchen, Wash Rooms, Living Room, Terrace, Washing Machines etc. Free Towels, Linen, And Kitchen Access. Boasting a central location on Passeig Sant Joan, near the famous Arc de Triomf, Las Ramblas Rooms makes an ideal base for exploring Barcelona. Placed in the heart of Barcelona, the city's greatest attractions are all on your doorstep. Rooms for daily rent in Barcelona. IMAGINE bed & breakfast is located in Barcelona´s center at the modernist area of Eixample, walking distance from Sagrada Familia, la Pedrera, Plaza Catalunya. A 5-minute walk from Maragall Metro Station and Parc del Guinardó, MotorSport Bed & Breakfast offers simple accommodation with free Wi-Fi and flat-screen TVs. With a strategic city center location, this property makes for an ideal base for both business and leisure travelers. Hillview Barcelona Youth Hostel is the new cosmopolitan, confortable and cozy youth hostel in Barcelona. Microtel Bauhaus Gran Via is a clean and modern shared apartment that has just been completely refurbished (2012) top to bottom. All brand new!!!! The Microtel has 4 private lockable rooms. We are located in a great neighborhood just 10 to Catalunya Sq. Hotel Pitort is a newly built hotel designed with style and comfort, is located at one of Castelldefels most beautiful parts. B&B in the centre of Barcelona, close to Sagrada familia and walking distance to Parc Güell and Paseo de Gràcia. Breakfast, wifi, safe, sheets and towels included. High personal attention! We are located in the famous district of “la Barceloneta”, a few meters from the beach. It’s a picturesque seaside neighborhood founded in the XVII century. Despite its small size presents a whole world of flavors. Probably the Best Bed and Breakfast in Barcelona! Barcelona Room & yacht is ideal accommodation for young people and those looking for a clean, cheap place to stay in Barcelona. The B&B is located in the the lively Gracia neighbourhood, just 5 minutes from the Sagrada Familia. Hotel y Apartamentos Turisticos frente a la Playa de la Victoria. Internet gratis, caja fuerte gratis, AA, secador de pelo, amenities. A small smart b&b only a short stroll from the beach & town. Warm contemporary interior, generous comfy rooms, friendly laid-back vibe, a perfect base to explore the wonderful Coast of Light. Mas Vilosa, gran casa pairal rodeada de 9. 000 m2 de jardín con piscina 12 x 6. Con una decoración cálida, acogedora y confortable, Mas Vilosa está ubicada en un entorno privilegiado donde disfrutará de tranquilidad. A 24hour en-suite hotel with free Wifi/Parking next to A Coruña Airport (LCG) with quick easy links to all areas. Discounted lodging welcome. A Backpackers Hostel made by Backpackers as you! Just 200 meters from the beach! Located 150 metres from Estepona Beach, Hotel Caracas Playa is set within the historic old town. It offers air-conditioned rooms, some with sea views, and free Wi-Fi in public areas. Come and stay in a nice B & B in Girona's city centre, right beside the main atractions of this beautiful ancient city: the cathedral, the jewish quarter and St. Fèlix church. Oasis Backpackers Hostel is designed for the modern day global traveller who not only wants good tips and refuge from the vigour of the road but who also want to have fun and high pressured showers - someone just like you! Holiday south from Granada. A traditional house in the foothills of the Contraviesa between the mountains and the sea. . . . . .
Nice rooms in a comfortable spacious house in a quiet area near the city centre. en Granada Seduce desamos compartir contigo la calidez de nuestro hogar, con el confort de un hotel. Tenemos para ti habitaciones amplias, cómodas y decoradas con esmero, para hacer de tu estadìa en Granada algo memorable. Abadia apartments can be found 100 metres from the Elvira Arabic Gate, in central Granada. They have free Wi-Fi, double-glazed windows and air conditioning. This campsite is set up for LA BATALLA DEL VINO Spains huge wine Fight! Excelent apartments for 2 or 3 person nearby the beach in San Antonio bay, Ibiza. Located in beautiful Cala Nova, where the beach is stunning, the vibe is a bit more chilled and oh yeah there's surf too. Our Camping is just 50 meters from the beach. IT OPENS ON MAY THE 1st¡¡ Hostal Torres is situated in the heart of San Antonio, in walking distance to the beach and the famous West End area with its lively atmosphere, restaurants and bars. 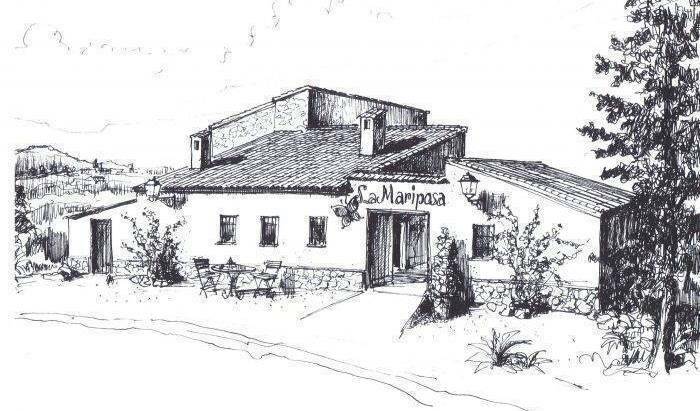 IT OPENS ON MAY 1st¡¡¡ : Club SAN MARINO, completely refurbished, finds itself 450 m away from the sandy beach from San Antonio bay and the town centre is just 20 minute walk along the new promenade. it OPENS ON MAY THE 1st¡¡ Recently refurbished, Xaloc apartments is only 50 metres from the SEstanyol beach and boat ferry into town, you have a stone throw away supermarkets, shops, restaurants, bus stops. Recently refurbished, PLAYA SOL I is situated between Playa den Bossa and Figueretas, 200 m from the long beach and 1. 5 km from the port of Ibiza, with its lively atmosphere, restaurants and bars. The bus stop is next to the apartments. IT OPENS ON APRIL THE 4th. Located at only 200 m from the Talamancas beach, the hotel is located in front of the Ibizas harbor, with a splendid view of D'Alt Vila area. IT IS OPENED¡¡ San Remo SEstanyol Complex is situated on the SEstanyol beach with a beautiful views over the marvellous San Antonio bay. Backpackers hostel with relaxing atmosphere, swimming-pool and big garden. We are your family in Tenerife ! Hotel Rural situado en Parque Nacional de Sierra Nevada, en la Alpujarra Granadina. This youth hostel is located in a historic building in the center town. Welcome to SOL HOSTEL! NEW... NEW... NEW... A new Youth Hostel is born in the centre of Madrid in a whole building with modern facilities for backpackers..
Hostel with Happiness is a brand new hostel in Madrid. Run by a fresh young team that wants to make your stay in Madrid an unforgettable one! We provide a good bed, bathroom facilities and a great free breakfast to start off a perfect day in Madrid. Our Guest House is located on "Plaza Mayor". It´s a cool place for your stay, with all the rooms facing to square. Breakfast is included, as well as free tea and coffee all day!! We want you to enjoy every minute of your stay with us!! Don't miss the great opportunity offered by Hostal Miami to stay at a great location, towering the well known Plaza del Callao. Right on the Gran Via, only a 5 min. walk to Plaza de Cibeles, Puerta del Sol, Plaza de Oriente or Plaza de España. THE HOSTAL CASTILLA II this located in an historical building totally renewed in the center of Madrid. Babel Guesthouse es un alojamiento en pleno centro de MADRID a escasos metros de GRAN via con habitaciones muy confortables y trato familiar. THE Hostal ' CASTILLA I ' this located in an historical building totally renewed in the center of Madrid. H. Welcome está especializado en el alojamiento económico lo que lo hace un lugar plural, y con gran disponibilidad para todo tipo de viajero de todo el mundo. Situado al sur de Madrid, en el barrio de Vallecas. Situated between La Puerta del Sol and La Plaza Mayor, in the heart of Madrid's tourist and commercial. WELCOME TO HIGH TECH MADRID AEROPUERTO! !This modern 4* hotel , inaugurated in 2003, is strategically located less than 5 minutes from The Airport (Madrid Barajas)and very close to IFEMA Exhibition Center(Campo de las Naciones Business Area). Find Oasis Malaga, an extremely well-equipped, superbly furnished hostel inmidst the exciting city of Malaga. Check out the Picasso birth house and go for a swim in the ocean in the afternoon. Could travelling be better? INTO THE HEART OF THE DOWN TOWN, THE BEST PLACE AND BEST CHEAPER ROOMS!! Located just 2 minutes away from one of the best beaches, Malaga Beach and Center Backpackers offers cheap and cozy accommodation with lots of socializing and events! MATCHANI GRAN IS A DELIGHTFUL 10 BEDROOMS EIGHTEENTH CENTURY MENORCAN FARMHOUSE AND WORKING FARM, SET IN 25 ACRES OF TRANQUIL COUNTRYSIDE. Enjoy peace and nature in Northwest Spain. Special Pilgrims Service!! Are you ready to have an exhilarating and crazy time in Spain at The Running of the Bulls 2017? Montefrio is 1 of the most beautifull villages in the world ! Our B&B is close to the village in the middle of the olive groves. 2 stars hotel with a familiar, comfortable atmosphere. 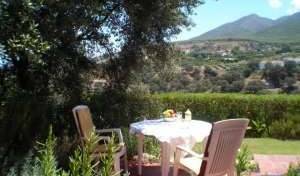 Guesthouse with self catering studios in the old town of Oliva. All our rooms have airconditioning/heating with spacious modern ensuite facilities. Our beautiful retreat nestles in the mountains of Andalucia and is surrounded by seven acres of olive orchards and almond groves, giving a secluded and serene atmosphere to anyone wanting a unique, friendly and creative holiday experience. Bed and Breakfast Apartamento Vistamar de órzola es un casa adosada con 1 apartamento. An EcoHotel, a new-concept hotel - a vacation resort, health and spa complex for unforgettable, healthy family, private and safe holidays, at the same time promoting responsibility and consciousness of the effect of leisure activities on our environment. 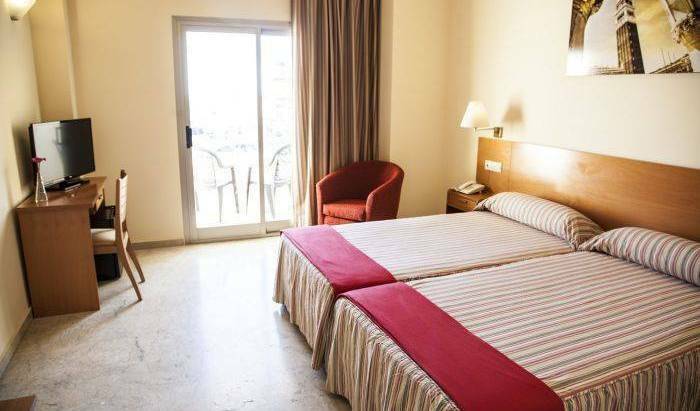 Situated in the beautiful and popular Port d' Andratx, Aparthotel "La Pérgola" offers an efficient service, set in a friendly family atmosphere, to ensure you obtain the most from your stay. The Arha hotel is located in the heart of Potes, in his former area. All rooms, doubles and singles, have complete bathroom, telephone and television. Stunning 18th Century country Manor house set in the Saja-Nansa Natural Park with breathtaking 360º panoramic views and next to "El Soplao Cave", a geological treasure. The appearance of this elegant hotel belies its age. Though built in the 1940s it might pass for a 19th century building with its lovely soft golden yellow stone work and iron balconies. Infantes Resort in Santillana del Mar, is composed of two Hotels and three buildings ( Los Infantes & Annex) and Hotel Santillana with three stars category. The hostal has 30 rooms, 8 of them single and the other 22 double, all of them comfotably equipped with: bathroom, television, telephone, central heating, piped music. Beautiful inn in Cantabria near of mountains or beach, for know all Cantabria. The village is one of the most pretty in the zone. Come to see us!! El Hotel Juan de la Cosa está situado junto a la playa de Berria, a dos kilómetros del centro de Santoña, cuna del famoso navegante y cartógrafo Juan de la Cosa. The Garden Backpacker is a clean, friendly hostel in central Seville and features a bar and back garden with hammocks where it's 'easy to meet people'. Enjoy our free sangria and our delicious dinners! At Grand Luxe Hostel our goal is to provide you with a luxurious experience at a low cost. To us, that means making sure you have a friendly, fun and relaxing environment at all times during your stay with us. Hostel One Sevilla Centro is a newly renovated hostel, located in the heart of Seville's downtown, in a typical Andalusian square, filled with orange trees and restaurant terraces. Coolest and Greatest hostel in Sevilla! Traveler's Inn Seville is a new hostel for backpackers and traveller, we can offer you facilities, servicies, shared rooms, private rooms and the cheapest prices in the city adapted to all kind of needs. Inn set on the 6th floor of one of the most emblematic buildings of the Madrilenian Gran Via street. We offer a cheap stay in a youthful atmosphere, with friendly spaces, decorated with detail and effort. Our space is a new & trendy accommodation, set in a newly renovated apartment . We offer2 private rooms, with private bathroom and fully equipped kitchen . They will enjoy a complete apartment for you, your family or your friends. Our Hostel is located next to "Puerta del Sol" in the historical centre of Toledo; with modern, tasteful and charming rooms, within a family atmosphere. Casual style. Our Hotel is located next to "Puerta del Sol" in the historical centre of Toledo; with modern, tasteful and charming rooms, within a family atmosphere. Located in the lower part of the Albayzin, El Clandestino is the option for those seeking intimacy, in private rooms, while enjoying all the common areas of a hostel. Fantastic hostel located in the centertown where share your trip experience and spend great time. "Si viajáis en grupo, en familia, o simplemente sóis de los que no os importa compartir alojamiento con otras personas, habéis encontrado el lugar apropiado"
Come to Nest, your cozy place to stay in the historical city center! Our friendly staff shows you the hotspots of charming Valencia. Dont miss our stylish rooms at best prices, the big kitchen and comfortable lounge. Bed and Breakfast in the historical center of Zaragoza. All rooms ensuite. Kitchen and Dinning room for guests use.